TransferPlan will transfer you from and to Tsoutsouros as quickly, safely and comfortably as possible. Tsoutsouros is located 60km southeast of Heraklion and it is built next to the ruins of the ancient city of Inatos. 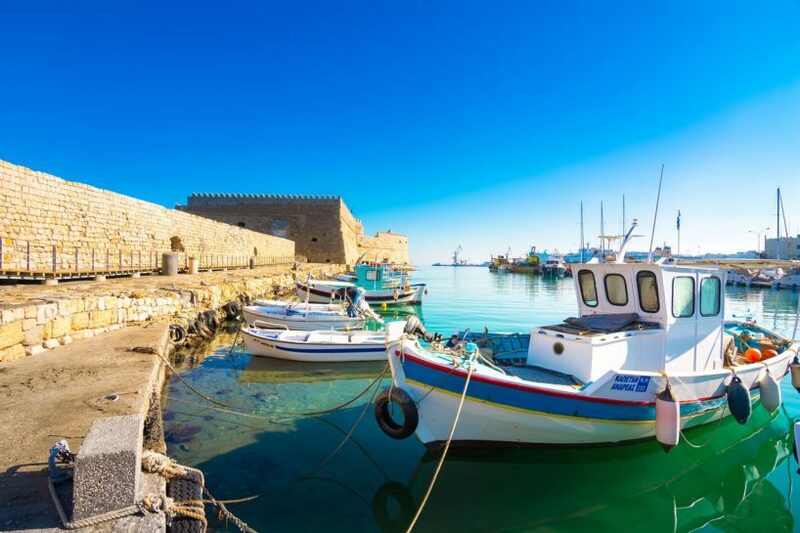 This is a small fishing village of 100 permanent inhabitants, but the latest years it’s becoming very popular as a destination for tourists who want to taste the real Cretan life. Tsoutsouras consists of the two united villages of Pera Tsoutsouros and Tsoutsouros, which today are the harbour of Arkalochori. The area is very well organized and developed, but still is a destination for quiet holidays. In front of the village, there is a small harbour of Tsoutsouras. East and west of the port, there are two long sheltered bays with a total length of 2km, which have lovely coarse sand and crystal-clear water. The beach is slightly organized with umbrellas and several tamarisk trees around. It is ideal for family holidays, because all necessary facilities for accommodation, entertainment and food are in close proximity. You can also use Tsoutsouras as a base for exploring the other surrounding beaches. It is significant to mention that swimming in Tsoutsouras has been traditionally considered healing by many Cretans, because of its high concentration of salt and iodine, assisting with healing any orthopaedic problems. Tsoutsouros is an astonishing picturesque and beautiful seaside village, with a long sandy beach and crystal-clear water. Famous amongst Cretan and ideal for relaxing holidays away from mass tourism. Spending your holidays here for the first time surely won’t be your last.